The IAG-owned carrier has ambitions to develop more direct flights to Canada. AER LINGUS HAS further ambitions to grow its Irish services to Canada – with Vancouver high on the hit list. Chief executive Stephen Kavanagh revealed the expansion plans at the launch of two new transatlantic routes from Ireland. The IAG-owned carrier will roll out summer flights next year from Dublin to US destination Minneapolis-Saint Paul and Montreal in Canada. The daily fight to Minneapolis, which starts from 8 July 2019, will be operated using a Boeing 757 aircraft. The Montreal route will also be a daily flight and kicks off on 8 August of next year. It will be serviced by an Airbus A321neo long-range aircraft. Explaining the decision to select the two new destinations, which will bring Aer Lingus’s total number of North American services to 15, Kavanagh said there are significant numbers of people travelling to Minneapolis-Saint Paul on competing carriers. He also suggested there is a business case for connecting regional France to Montreal via Dublin Airport. The Canadian city has a large French community. Kavanagh said Aer Lingus “hasn’t finished yet in terms of our ambition in Canada”, adding that Vancouver “is an obvious candidate” for a future flight from Dublin. “We have canvassed upwards of 30 airports and metropolitan areas in North America and Canada. We will consider all of those responses,” he said. However, Kavanagh warned that Aer Lingus’s growth plans will be dependent on the level of infrastructural investment at Dublin Airport. Aer Lingus and other carriers have long campaigned for improved infrastructure at the country’s busiest airport, complaining that the existing facilities are close to maximum capacity. Dublin Airport owner DAA recently committed to a €900 million investment in improving airport stands and piers. The launch of the new Aer Lingus routes coincided with the publication of a report on the economic impact the airport could have if it was developed into a major transport hub. The report compiled by EY estimated that the development of Dublin Airport as a hub would be worth an estimated €18.6 billion to the economy and generate €6 billion additional revenue for the Exchequer between now and 2033. Commenting on the report, Kavanagh said that Dublin has already become a hub, but it’s “an accidental hub in terms of the infrastructure”. 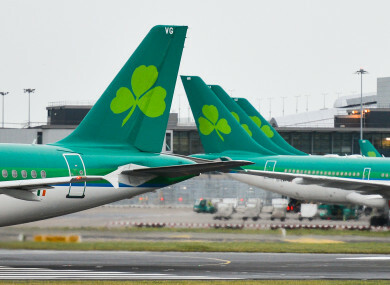 When asked by Fora to specify the kind of investment Aer Lingus would like to see, Kavanagh said the airline is calling for additional piers, stands for parking aircraft, apron space for planes to navigate and additional facilities to handle baggage. “Above all, we want, from an Aer Lingus perspective, an operation that’s capable of delivering competitive transfer connecting times. Gulf carrier Emirates earlier this year revealed that it shelved plans for a third daily flight from Dublin to Dubai because of infrastructural issues at the airport. While Aer Lingus hasn’t yet had to defer route launches, Kavanagh said “it’s becoming increasingly difficult”. “It’s more challenging to operate efficiently,” he told Fora. Email “After launching two new transatlantic routes, Aer Lingus is eyeing up Vancouver”. Feedback on “After launching two new transatlantic routes, Aer Lingus is eyeing up Vancouver”.